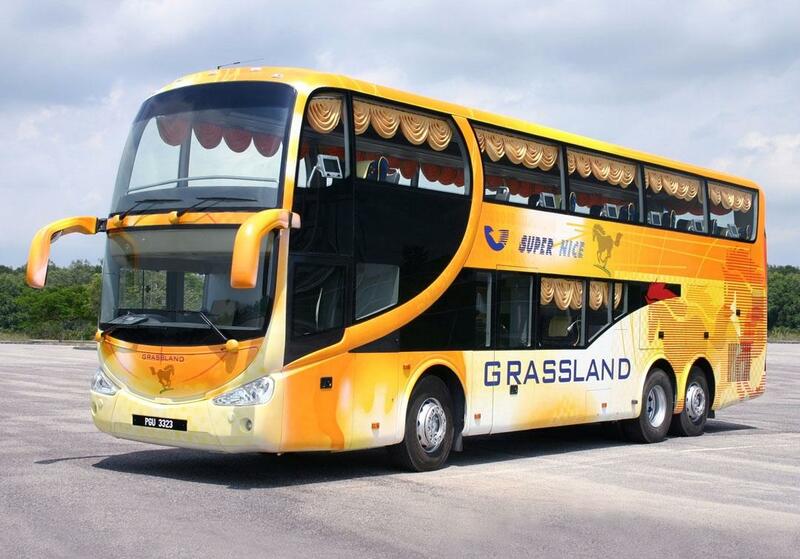 Grassland Express is one of most popular bus operators in Singapore. They were the first operator in the land to have launched the Super VIP 27-seater bus, revolutionising the bus industry in the country and stamping their spot as the number one brand in Singapore. Their fully air-conditioned coaches are equipped with many amenities, providing nothing less than a luxurious travel experience. Among the amenities include LCD consoles, plug points to charge their mobile devices, noise proof setup and more. Grassland Express excels in providing long distance travel from Singapore to various destinations in Malaysia such as Melaka, Seremban, Genting Highlands, Kuala Lumpur, Ipoh, Penang and even Hatyai, Thailand. They operate at convenient and easily accessible boarding and drop-off points, allowing easy access for their passengers through other modes of transportation. In Singapore, it is located at Golden Mile Complex. In Malaysia, some of the locations are at Terminal Bersepadu Selatan (TBS) and Berjaya Times Square in Kuala Lumpur, Sungai Nibong Bus Terminal in Penang and Terminal Aman Jaya in Ipoh. CatchThatBus offers online bus tickets to many routes covered by Grassland Express as well as seat availability features. You can book your bus ticket online from our website or via mobile app which can be downloaded for free on Google Play or App Store.